George Avakian, who was in charge of an ethnic music series at Columbia directed by the ethno-musicologist Alan Lomax, especially wanted Gil Evans to work with flamenco because of his knowledge of Spanish composers. In fact, Miles himself had simultaneously discovered Joaquin Rodrigo’s “Concierto De Aranjuez” and flamenco—thanks to both an anthology brought back from Spain by the actress Beverly Bentley and a concert to which Frances Taylor had taken him. 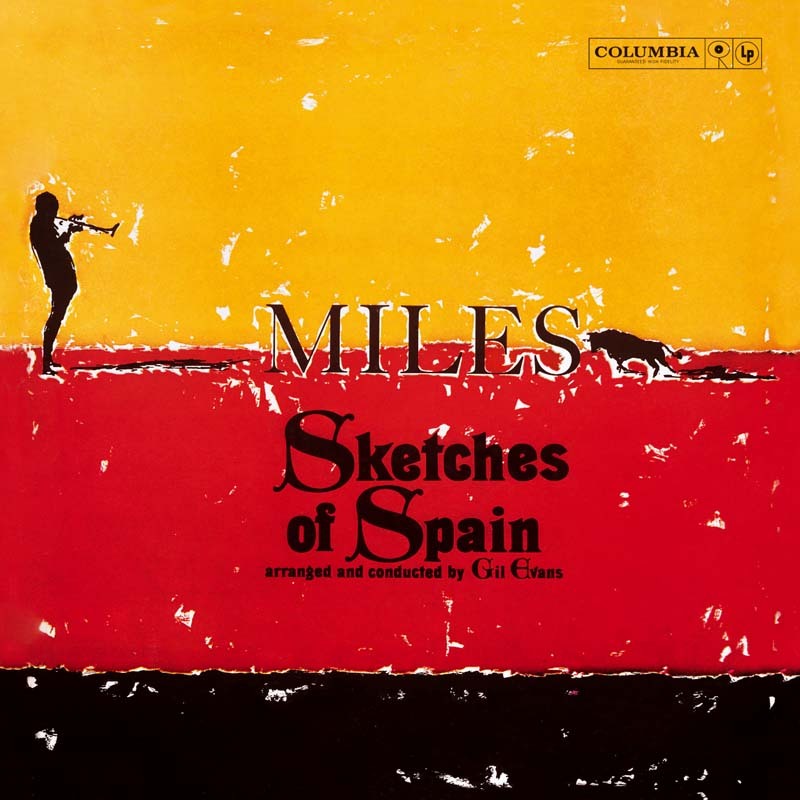 The result was majestic music in which Gil Evans skirted the kitsch of Rodrigo’s original score and held his own with the help of Miles’ lofty trumpet. Along with the adagio from “Concierto,” Gil Evans borrowed Manuel de Falla’s “Will O’ The Wisp,” and adapted “The Pan Piper” from a panpipe aria recorded by Lomax in Galicia and “Saeta” from an eponymous ritual chant sung to the accompaniment of the brass bands escorting the processions in Seville during Holy Week. In this last piece and in “Solea,” Miles drew on the ardor of flamenco singing while distancing himself from all traces of the folkloric.